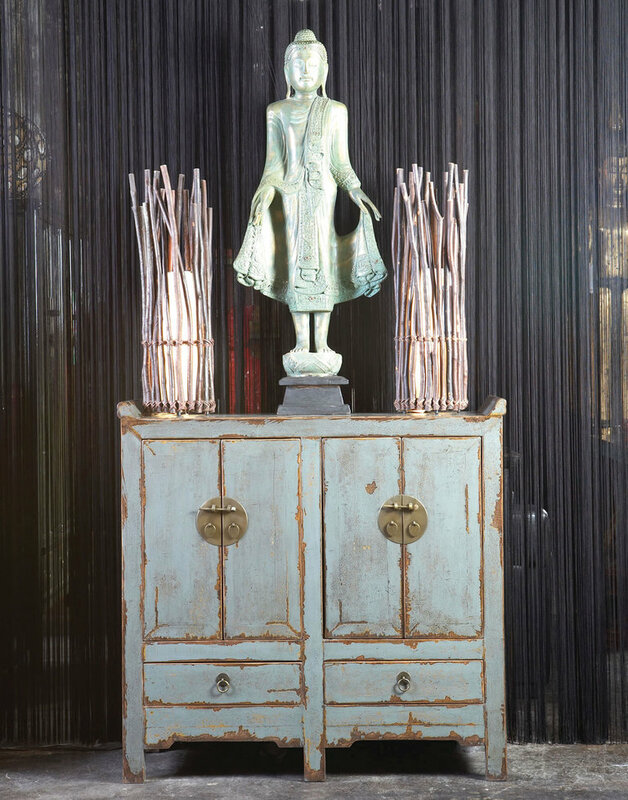 The Khan Small Cabinet is ideal for adding Asian style and additional storage to small dining rooms, entry ways and more. 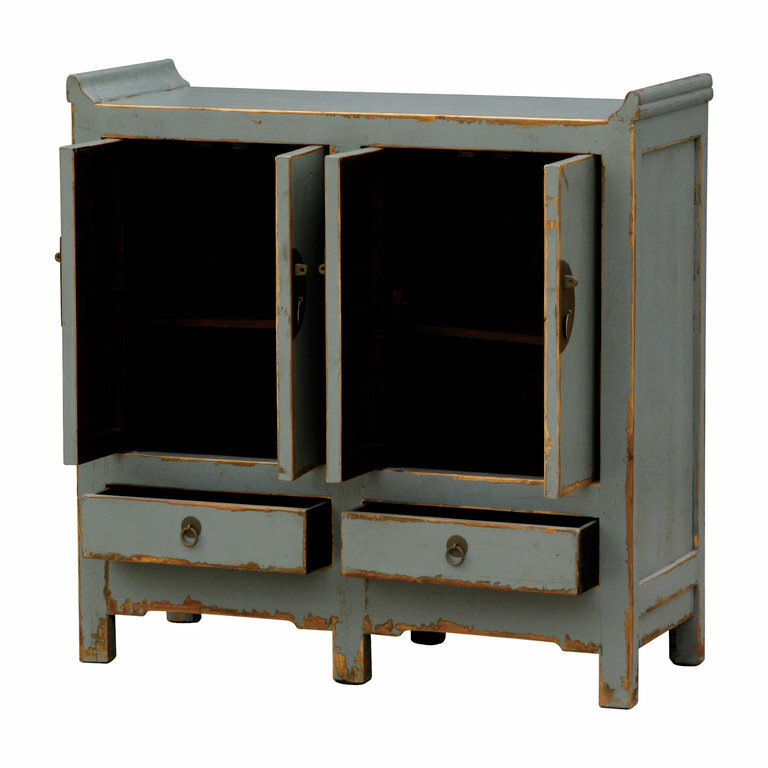 Featuring a light blue distressed finish as well as 2 drawers and 2 double door cabinets. 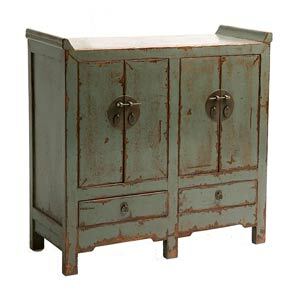 Made from solid Elm this unique piece will certainly become a family heirloom.